Ginger and Gout: Is It an Effective Treatment? A sudden sharp pain wakes you in the morning. It’s your gout playing up again. This isn’t the first time you’ve been rudely awoken like this. The tenderness, the swelling, the redness… It’s the same old story! In your moment of need, what do you reach for to ease the pain? 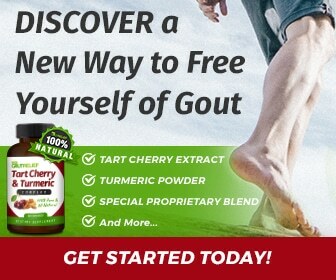 There are many gout treatments out there. Of all of them, it’s unlikely that ginger would be your first choice. After all, it’s ginger and gout. Is that even a thing?! Studies have shown up to 95% of patients with arthritic conditions experience reduced pain from treatment with ginger! It turns out this ancient root is as effective as Ibuprofen in gout treatment! Surprising, right? Who knew the little root you find in the supermarket could come in so handy? However, as remarkable as it is, it might not be suitable for everyone. Keep reading to learn more about ginger and whether it’ll be an effective treatment for your gout. The technical word for ginger is ‘Zingiber Officinale’. And it’s over 5,000 years old. The origins of ginger have been traced back to South East Asia, but its history is rich and far-reaching. From Ancient China to India, to the Roman Empire and beyond, this amazing root has been used by humans throughout history. Ginger’s historic importance was reflected in its price. Thousands of years ago the ancient Chinese were the first to take advantage of ginger’s medicinal qualities. Since then its popularity as a natural treatment has grown exponentially. From cancer to colds, motion sickness to migraines, allergies to Alzheimer’s and arthritis, ginger can help. And as we’ve seen, it can help with gout, too. Gout is a type of arthritis. Known as the ‘Disease of Kings’, it was once thought to impact men alone. But, alas, it affects women too! In fact, the number of women diagnosed with gout has doubled in 20 years. In the U.S., that means 2 million women (and 6 million men) now suffer from it. Common and complex, gout causes inflammation, swelling, redness, and intense pain in your joints. Think big toes, ankles, wrists, knees, and elbows. It’s very commonly seen (and felt) in your big toe. And it’s not pleasant! Symptoms are often endured at night when sharp pain can jolt you from sleep. But the pain can come at any time, taking days to dissipate if you’re unlucky. The test for gout doesn’t sound great either. 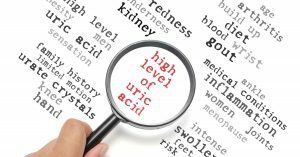 Fluid is usually removed from the joint in question and inspected under a microscope to check for traces of uric acid crystals. If there’s a build-up of crystals you’re likely to receive a gout diagnosis. Blood tests can also be done to check your uric acid levels. Ginger and Gout: How Does it Work? Gout occurs when uric acid builds up in the blood. Over time, if it doesn’t disperse, needle-like crystals develop in the joints. It’s these needles that cause all the pain, swelling, redness and inflammation. Ginger works well against gout because it’s an anti-inflammatory (and an anti-oxidant too!). It contains two anti-inflammation agents, gingerols, and shogaols. These agents help suppress the monosodium urate (uric acid) crystals in the blood. And this suppression relieves the gout sufferer from a flare-up. As an added bonus, it also makes it less likely to happen again in the future. In simple terms, gout causes inflammation and ginger helps reduce it. Pretty cool, right? Hopefully, you’re now aware that ginger can be great for gout. But how should you incorporate it into your treatment routine? How can you actually use ginger to help with your gout? An easy way to start getting more ginger into your diet is by cooking with it. Or consider eating ginger sweets instead, if that’s more your thing. But once again, watch your sugar intake. For this particular use, you first boil ginger in water (as if you’re making tea – more on this in a second!). Next, soak a small towel in the warm water and simply apply it as a compress to the affected area. Here’s another method of using ginger that you don’t ingest: make a ginger paste. It might sound a little strange, but it’s another common technique. Mash the ginger root and combine it with water to make a poultice. Then simply apply it to inflamed area for a soothing feeling. Ginger tea is a super easy and effective way to get more ginger into your diet. Cut up some ginger root into small pieces and then boil it in a saucepan of water. After 5 minutes or so it’ll be ready to drink. Pro tip: adding some honey can take the edge off! Taking supplement capsules with ginger in them is arguably the best way to consume ginger for your gout. This is because it’s the only way to truly know the quantity you’re consuming. Being able to measure and track your ginger intake is an important way of ensuring correct usage. It’ll also minimize the danger of taking too much (more on this next). A Cautionary Note: Should Everyone with Gout Use Ginger? As we’ve seen, ginger can be an effective treatment for gout. It can be a fantastic natural treatment alternative to consider if you’re suffering from this condition. But there are a few things to keep in mind. For instance, ginger has a number of known possible side effects. These can include nausea (ironic, given that ginger is sometimes given to treat nausea! ), stomach discomfort, diarrhea, and heartburn to name a few. It’s also a controversial treatment option for pregnant women. Simply, the effects aren’t fully known. That’s not to say it can’t help your gout if you’re pregnant. It’s just that there is the possibility of unforeseen consequences as a result. For the same reason, it’s recommended by experts that women avoid ginger while breastfeeding. The effects it may have remain somewhat unclear from the research. Ginger can interfere with some conditions too. 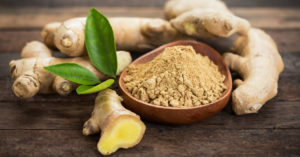 People with diabetes, bleeding/blood clotting disorders, heart issues and gallstones should speak to their Doctor before consuming ginger for their gout. Treating gout with ginger is amazing. But being able to prevent gout in the first place is better! 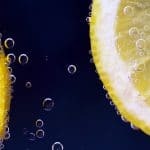 Here are some ways to stop flare-ups happening as recommended by the Mayo Clinic (and we here at IWantGoutRelief.com agree). Stay hydrated! 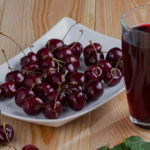 Drinking lots of fluid is a good way of keeping gout at bay. The best option is water. And then more water! Conversely, limiting the amount of alcohol you consume (or abstaining entirely!) can help prevent gout too. Beer for men is apparently the worst! Low-fat dairy foods could actually be protective against gout anyway. This makes it a good source of protein for you. 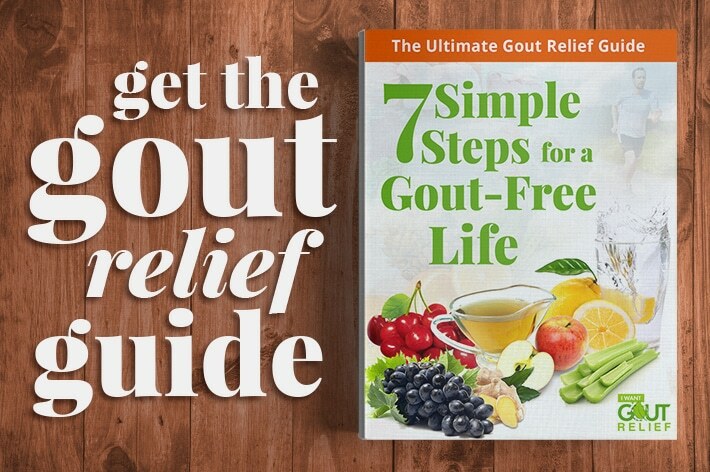 These can all spark off gout symptoms. Moderate accordingly! Finally, keeping fit and healthy is another key way to bolster your immune system and allay flare-ups. As we’ve seen, ginger is an ancient root that’s been used medicinally for millennia. And it’s now been proved to be an effective treatment for gout, among many other debilitating illnesses. Ginger and gout go hand in hand. The build-up of monosodium urate crystals involved in gout leads to inflammation and pain. But this can be treated naturally thanks to the anti-inflammatory make-up of ginger. 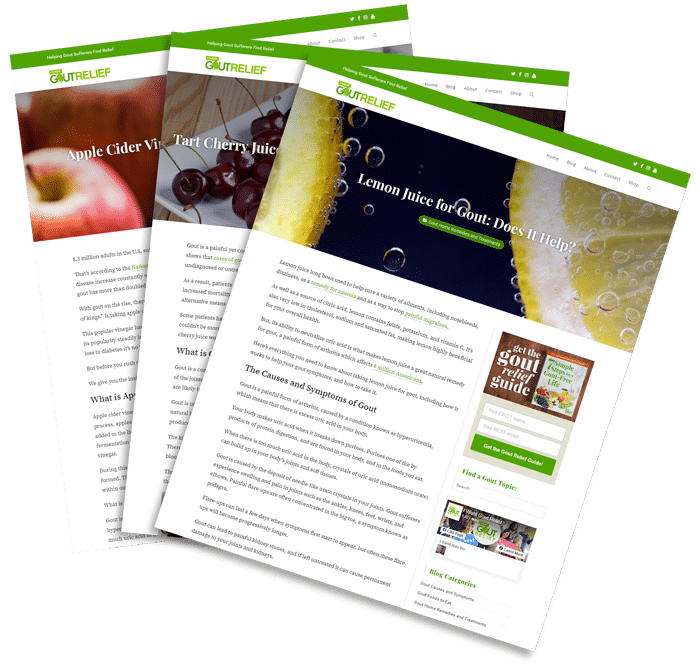 Do you suffer from gout? Have you been surprised by learning how ginger can help? And how would you use it in your treatment routine? Be sure to let us know your thoughts and preferences in the comments! 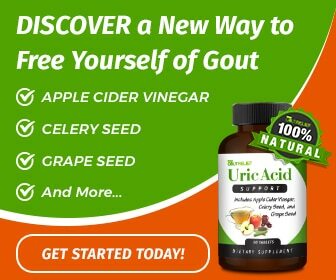 And don’t forget to check out our Uric Acid Support supplement, which contains ginger root extract, along with a ton of other gout-busting ingredients. 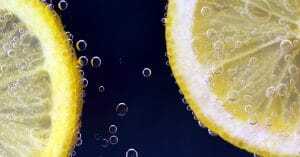 Lemon Juice for Gout: Does It Help? 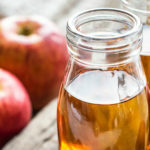 Apple Cider Vinegar for Gout: Does It Heal Gout? The information provided on this website and included in all related communication or any information contained on or in any product label or packaging is for informational purposes only and is not intended as a substitute for advice from your physician or other health care professional. You should not use the information on this site for diagnosis or treatment of any health problem or for prescription of any medication or other treatment. You should consult with a healthcare professional before starting any diet, exercise, or supplementation program, before taking any medication, or if you have or suspect you might have a health problem. You should not stop taking any medication without first consulting your physician. Please see our full Disclaimer here. © 2018 QUEST ORGANIC, LLC. ALL RIGHTS RESERVED. 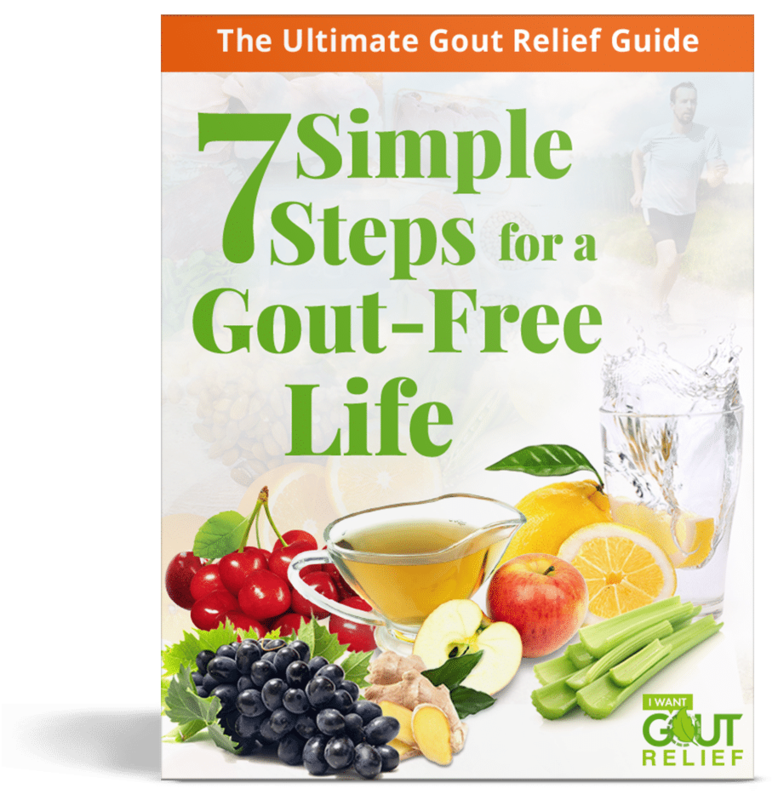 Subscribe to Get Instant Access to a Free Digital Copy of the Gout Relief Guide!